The common misconception is that Eskrima uses only sticks and bladed weapons. But Eskrima has been using hand-to-hand combat along with its weapons all throughout its long and bloody history. The focus of this article is the practical unarmed applications of Kali Fighting Style. 1 What Makes Kali Fighting Style Unique? What Makes Kali Fighting Style Unique? Eskrima practitioners begin their instruction by learning on how to duel with weapons, empty-hand and advanced training are then learned once the knife and kali fighting style has been satisfactorily mastered. This is contrary to most other famous Asian martial arts, but it’s reasonable by the standard that bare-handed motions are obtained in nature through the same movements as the weapon practices, making the muscle memory a significant part of the training. Empty-hand training is a major component of all Filipino Martial Arts taught by master instructors. Seeing the big picture of bladed arts and weapons, empty-hand training is just one of the many advanced subjects taught in Filipino Martial Arts. Empty hand techniques are frequently taught last in FMA because the idea is that no one would want to go to battle empty-handed. This notion is quite plausible especially that Martial Arts is an art of war and people and nobody goes to war without weapons. Weapons training is therefore very important to make it easier for you to deal with a weapon-wielding adversary using your bare hands. Since you already have a working knowledge of how the weapon is handled and used, you can easily come up with the appropriate counter. Louis Lim demonstrating the bare hands eskrima disarming technique with a student. Against a knife attack, for instance, it may be sensible to evade and counter the adversary with a strike, but it would be much better to disarm the adversary with his weapon after deflecting, distracting and controlling his weapon hand. Some methods that make plenty of sense in the weapon to weapon fight make little sense in an unarmed fight. Likewise, some methods that work in combats with long, pointed weapons do not work with short, blunt objects. Stick combat may not work in the same manner as with machetes or swords. Therefore, all concepts and methods utilized in weapon training must not be shifted straight to empty hand combat. There are different sets of effective empty-hand techniques that are applicable to both weapon and bare hands and you need to focus on these techniques. The Live Hand is a distinct feature and a core concept of Filipino martial arts. Even if a practitioner only exercises one weapon, the other hand is utilized to control, disarm or trap the weapon of an opponent, as well as to support in joint locking, blocking, and opponent’s manipulation or other concurrent movements, for instance, bicep destruction using the live hand. Many Eskrima styles like Balintawak Eskrima integrated bare hands techniques along with the stick – applying punching, elbow, kicking, knee strikes, locking, takedowns, throwing along with the stick to complement the human weapon with the stick or primary weapon. In Filipino Martial Arts, Mano Mano is an empty-hand fighting component of Arnis. The term means “hands” or “hand-to-hand,” coming from the Spanish term “mano” meaning hand. Mano Mano is also known in Filipino as suntukan or panununtukan (Luzon) and pangamot (Visayas), as well as Cadena de Mano or De Cadena, is a few FMA systems. Considering all the possibilities of empty-hand self-defence, Mano-Mano is an excellent self-defence system that practices kicking, boxing, ground fighting, grappling, as well as weapon awareness. It is a mixture of various Filipino Martial Arts styles including Boksing (Filipino boxing), Sikaran (foot fighting), and Dumog (self-defence grappling). Mano-mano began as a self-defence system that’s been imparted from one generation to another onto the family members. In the present day, Mano-mano is practiced across the world and is gaining the admiration for its effectiveness and practicality. Long ago, the Filipino Martial Art of SIKARAN focused on kicking styles. Sikaran is traced back into the 16th century where farmers would gather around after work then practice fighting in their fields. The farmers would make use of their kicking skills and strong legs to send their opponents away from a chosen area called “pitak,” that was around 25 feet in diameter. The word “Pitak” means rice field. In the present day, Sikaran is practiced across the world, including Australia, Canada, Europe, the United States and, of course, the Philippines. “Tadyakamao” or “Mano-Mano Boksing,” and the empty hand of “Disiplinados Kali,” are genuinely derived from earliest Philippine practices of training and self-defence during the wars. With an intense emphasis on infighting with the use of the sturdiest bones of the body, open hand, closed fists, elbows, forearms, knees, shins, and heels make Tadyakamao a useful system. 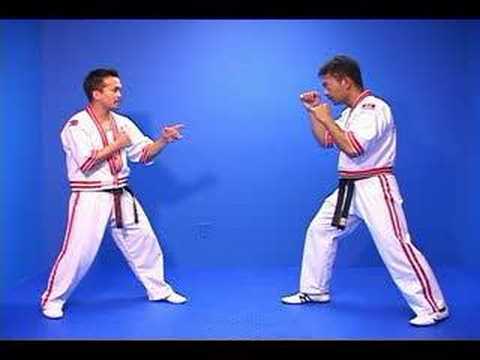 What’s unique with Tadyakamao is that it includes a fluid weaving movement that saves energy, and the beneficial techniques of striking styles called “suntokalasag” where punching and blocking are in the same posture and shape, with the integration of Kali, the art of stick and knife fighting. It’s been called “Boksing Tigre” (Tiger boxing) because the stances and movement bear a resemblance to the silent and careful movements of a tiger that stalks its prey. Tadyakamao develops your strength, agility, flexibility, and posture. It enhances your confidence and gives you new, powerful skills. With that said, one big attraction of empty-hand training is that it more accessible than weapons-based training, especially to individuals who are only starting out. Since we are all aware where our hands and feet are, punching and kicking just happens to be easy to learn compared to learning to use a weapon. Also, a decent cardio workout follows much faster. Truthfully speaking, it’s also fun and entertaining to punch a focus mitt hard. Dumog: Filipino technique of grappling. Buno: Filipino technique of wrestling. Sayaw ng Kamatayan or Yaw-Yan: (Dance of Death) Yaw-Yan very much is similar to Muay Thai, but varies in the hip-torquing movement and the downward-cutting quality of its kicks, as well as the highlighting on attacks delivered from long-range (while Muay Thai highlights more on clinch). The strikes, punches, dominating palms, elbows, and hand motions are empty-hand versions of the blade weapons. There are twelve “bolo punches,” which were modelled from Arnis. Eskrima and Kali are acknowledged as a weapon-based system which begins the training regime with weapons. However, empty hand techniques are also taught with principles that are almost similar to the use of weapons. It’s a complete self-defense system you can always rely on. Do you have questions regarding the empty-hand applications of Eskrima? If you do, feel free the address them on the comments. We will love to answer them with you.